By Keith Cowing on March 18, 2019 6:42 PM. Keith's note: I was there. It was utterly historic. By Keith Cowing on January 29, 2019 9:54 AM. Keith's note: NASA Day of Remembrance events at Arlington National Cemetery will be held on 7 February. By Keith Cowing on January 23, 2019 9:38 PM. Keith's update: Emily Lakdawalla has posted a multi-tweet apology/clarification which includes a screengrab of her original tweet. "Since I clearly didn't communicate well with a previous tweet, I'm going to try again, but am including a screen cap of the deleted tweet here so people understand what I meant. It's my job to be a communicator and I failed here." By Keith Cowing on April 21, 2018 6:12 PM. "Seven-year-old Havana Chapman-Edwards was the only student at an Alexandria, Virginia, elementary school to participate when students across the nation walked out of school in support of school shooting victims, according to her mother." Keith's note: Watch the video. Look at what Havana Chapman-Edwards is wearing and what she wants to be when she grows up. By Keith Cowing on January 26, 2018 6:31 PM. By Keith Cowing on January 19, 2018 5:41 PM. "Earlier today at the All Hands, I let people know that I am going to retire from NASA at the end of May. It's a really tough decision to determine when to make that transition; for me, it comes down to my personal situation. I reach 30 years at NASA, and my younger son turns 18, so this summer is a natural point for our family in which to move on to the next phase. We'll be moving to Boise, ID ..."
"Keith's note: That's four companies/organizations for whom Ellen Ochoa serves on the board of directors while also serving as Center Director for NASA Johnson Space Center. If she has the time to do all of this external stuff perhaps she is not spending enough time on her day job. 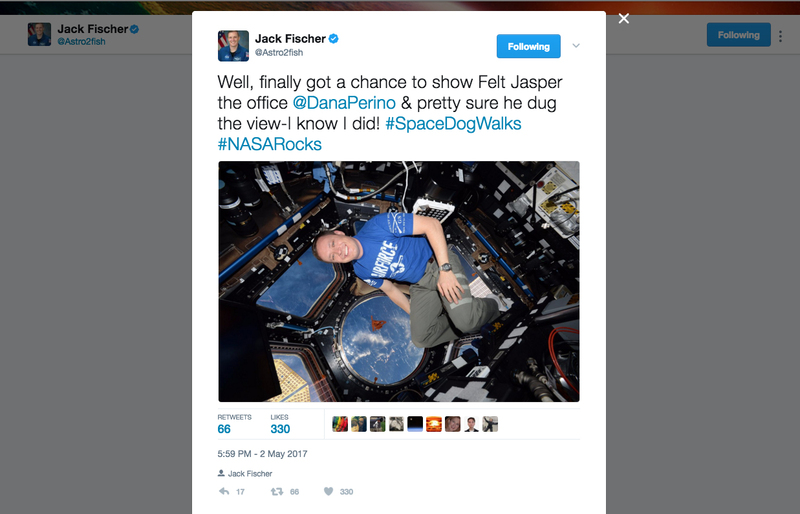 Why is it that the vast majority of NASA employees are not allowed to moonlight like this - but Ochoa is allowed to do so? Just sayin'." By Keith Cowing on January 15, 2018 8:23 PM. "The evidence reports reviewed in this National Academies' report are part of a larger roadmap process developed and under implementation by NASA's Human Research Program. The goals of the program are to investigate and mitigate "the highest risks to human health and performance, providing essential countermeasures and technologies for human space exploration". The evidence reports are the first part of the roadmap, which is followed by clarifying the risks, specifying the research gaps that exist in addressing those risks, implementing research tasks, and obtaining deliverables. 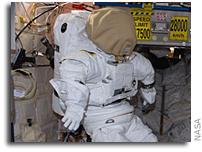 These steps are then assessed to ascertain the progress that has been made in preventing or mitigating the specific risks to astronaut health. 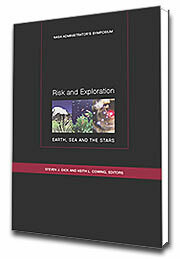 NASA updates its progress on risk reduction for a range of design reference missions - missions on the International Space Station (ISS) in low Earth orbit, lunar visits or habitation, deep space sorties, deep space journey or habitation, and planetary visits or habitation (e.g., Mars) - by identifying the extent to which there is evidence that the plans for that mission will comply with existing crew health standards or that countermeasures exist to control the risk." Michael Foale Wants To Save The ISS. He's Not Alone. By Keith Cowing on January 9, 2018 10:52 PM. "Draw up a list of the world's most accomplished and experienced astronauts, and astrophysicist Dr Michael Foale's name is going to come pretty near the top. ... Now more than 20 years after saving one space station, Foale wants to save another: the ISS. ... Foale is formulating his campaign to save the ISS and says he plans to launch websites to gather support to help save the space station. He says he intends to keep pressure on the space agencies to continue to fund the programme. "Every engineer, manager, astronaut or cosmonaut who's worked on the ISS, we all think the space station is such an achievement on behalf of humanity that it should continue," he says. "I'm still giving Nasa a chance to tell me how they're going to do it." By Keith Cowing on January 6, 2018 12:29 PM. "The following is a statement from acting NASA Administrator Robert Lightfoot on the passing of John Young, who died Friday night following complications from pneumonia at the age of 87. 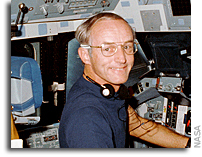 Young is the only agency astronaut to go into space as part of the Gemini, Apollo and space shuttle programs, and the first to fly into space six times: "Today, NASA and the world have lost a pioneer. Astronaut John Young's storied career spanned three generations of spaceflight; we will stand on his shoulders as we look toward the next human frontier." By Keith Cowing on April 25, 2017 12:19 PM. Keith's note: People who engage on expeditions to risky and dangerous places on Earth regulary waive certain safety and medical regulations in order to participate. I have done it more than once in the arctic and at Everest. You consider the risks, weigh the benefits, and then sign the forms. There are lifetime radiation exposure limits for astronauts that are supposed to be used to guide the selection of ISS crews. Now, these limits are apparently subject to selective waiver. So are these "limits" now becoming "guidelines"? Are astronauts now doing something similar to what terrestrial explorers do in order to spend more time in space? What is the process whereby NASA makes this waiver decision? What are the implications for the whole #JourneyToMars thing? By Keith Cowing on April 5, 2017 11:51 PM. "Inside the Payload Hazardous Servicing Facility at NASA's Kennedy Space Center in Florida, the John Glenn banner is attached inside the Orbital ATK Cygnus pressurized cargo module." 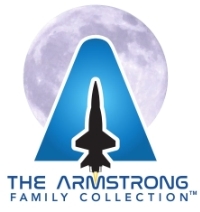 "NASA Television will provide coverage of the interment service for NASA astronaut and U.S. Senator John Glenn at 9 a.m. EDT on Thursday, April 6, live from Arlington National Cemetery in Virginia." By Keith Cowing on December 23, 2016 4:06 PM. Keith's note: This note was sent out earlier today by Colleen Hartman, Director, Sciences and Exploration Directorate NASA Goddard Space Flight Center: "All, I am so very sad and bereft to tell you that Piers passed away this morning. He was not in pain and his family was with him. A light has left our world. We will miss him so very much. He asked that Tucker and I arrange a celebration of his life here in Washington DC. in the Spring time. Piers knew your work was the most important in the world. Please continue fighting the good fight and remembering the great times we had with the most amazing man in this world. We will never forget him. With deep sadness, Colleen"
"In a New York Times opinion piece in 2016, he said, 'As an astronaut, I spacewalked 220 miles above the Earth. Floating alongside the International Space Station, I watched hurricanes cartwheel across oceans, the Amazon snake its way to the sea through a brilliant green carpet of forest, and gigantic nighttime thunderstorms flash and flare for hundreds of miles along the Equator. From this God's-eye-view, I saw how fragile and infinitely precious the Earth is. I'm hopeful for its future.' 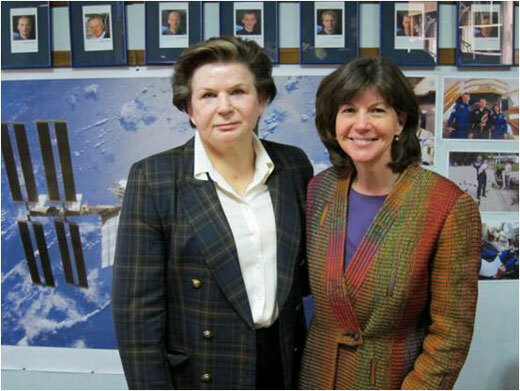 "Today we lost a tremendous public servant who was dedicated to NASA, the nation and the world. He was a strident defender and eloquent spokesperson for our home planet, Earth. Spacewalker and scientist, free thinker and friend to our planet, and all who seek new knowledge, to say he will be missed would be a gross understatement." 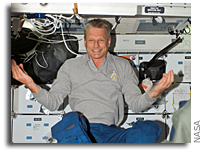 "Piers Sellers, who passed away on Dec. 23 more than a year after learning he had pancreatic cancer, leaves behind a dynamic legacy at NASA. As an astronaut he helped build the International Space Station. As a manager he helped lead hundreds of scientists. And as a public figure he was an inspiration to many for his optimistic take on humanity's ability to confront Earth's changing climate. But his most lasting contributions will be in the field where he began his career: science." By Keith Cowing on December 9, 2016 12:55 AM. Keith's note: Although I met him more than once in my 30 years in Washington, my association with John Glenn was one of a degree of separation - I knew many people who knew him well. In 2009, I spent a month on a mission to a strange, beautiful, dangerous place with someone (astronaut Scott Parazynski) who spent several weeks on a mission to a strange, beautiful, dangerous place with John Glenn. There is a scene in "The Right Stuff" (that never actually happened) where Gordon Cooper watches Glenn fly over Australia at night with some aborigines while sparks fly upward from their fire. Years later, on my way to Everest to meet up with Scott, I taught a Sherpa to spot satellites in the night sky - and that movie scene flashed through my mind. That is my John Glenn story. By Keith Cowing on December 8, 2016 3:17 PM. "The last of America's first astronauts has left us, but propelled by their example we know that our future here on Earth compels us to keep reaching for the heavens. On behalf of a grateful nation, Godspeed, John Glenn." "The entire NASA Family will be forever grateful for his outstanding service, commitment and friendship. Personally, I shall miss him greatly. As a fellow Marine and aviator, he was a mentor, role model and, most importantly, a dear friend." "I first got to spend time with him in January of 1998 after he became part of our crew. He walked in to the crew in a really unique and funny way. He said, 'If any of you guys call me Sen. Glenn, I'll ignore you. My name is just John or Payload Specialist No. 2.' That kind of set it. He just wanted to be one of the crew, no special treatment or favors. A very down-to-earth, humble guy." "Ironically, John Glenn, the Mercury astronaut most Americans can still name, was the quiet one. He was strong and steady and never in any manner outlandish. He touched us in a different way. There was something about that balding, red-headed Marine with his lopsided smile that just made people love him. It seemed to those of us following the space race back then that everything Glenn did, his Midwestern, "aw shucks" manner of speech, his obvious love for and dedication to his wife, Annie, even his daily jogs along the Cape Canaveral beach, was pure and wholesomely American." Keith's note: I got this as a text message via satellite phone from astrobiologist Dale Andersen on the shores of Lake Untersee in Antarctica this afternoon: "John Glenn was for me and for so many others of my generation a hero, a legend and The Right Stuff - an icon of space exploration. Interestingly, we just (minutes ago) finished watching Apollo 13 this evening - a wonderful story and a great film (and even better once one has read the flight log end to end). I hope the sacrifices made by those early space pioneers will not be squandered and that they will be honored by our country by re-energizing our space program - one dedicated to exploration, innovation and placing humans back on the surface of the moon and on Mars in the very, very near future. Its time to invest in science, engineering and imagination once again and to move well beyond LEO! From the mountains of Queen Maud Land, Antarctica. Dale"
By Keith Cowing on December 7, 2016 12:34 PM. "Glenn was admitted to the hospital more than a week ago, a spokesman for the John Glenn College of Public Affairs said in a statement. The spokesman said he did not know Glenn's "condition or illness or prognosis" and cautioned that Glenn did not necessarily have cancer." By Keith Cowing on March 3, 2016 1:14 AM. Keith's note: And of course since NASA now defines a "year in space" = 340 days it would take less or more time, depending on your point of view. By Keith Cowing on February 29, 2016 11:43 PM. Association of Space Explorers: "We are very sad to pass along the news that former astronaut Don Williams has passed away. Fair skies and following seas, Cap'n." "Born February 13, 1942, in Lafayette, Indiana. Died on February 23, 2016. He is survived by his wife and two children. 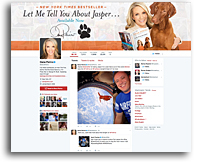 He enjoyed all sports activities and his interests included running and photography." By Keith Cowing on February 20, 2016 12:01 AM. "More than 18,300 people applied to join NASA's 2017 astronaut class, almost three times the number of applications received in 2012 for the most recent astronaut class, and far surpassing the previous record of 8,000 in 1978. "It's not at all surprising to me that so many Americans from diverse backgrounds want to personally contribute to blazing the trail on our journey to Mars," said NASA Administrator Charlie Bolden, himself a former astronaut. "A few exceptionally talented men and women will become the astronauts chosen in this group who will once again launch to space from U.S. soil on American-made spacecraft." 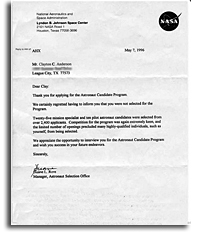 Keith's note: Of the 18,300 applications NASA will pick - at most - a dozen candidates. And those new NASA astronauts that are selected can expect to wait nearly 20 years before they go on the #JourneyToMars or wherever. One has to assume that most of the people applying knew it was a long shot. 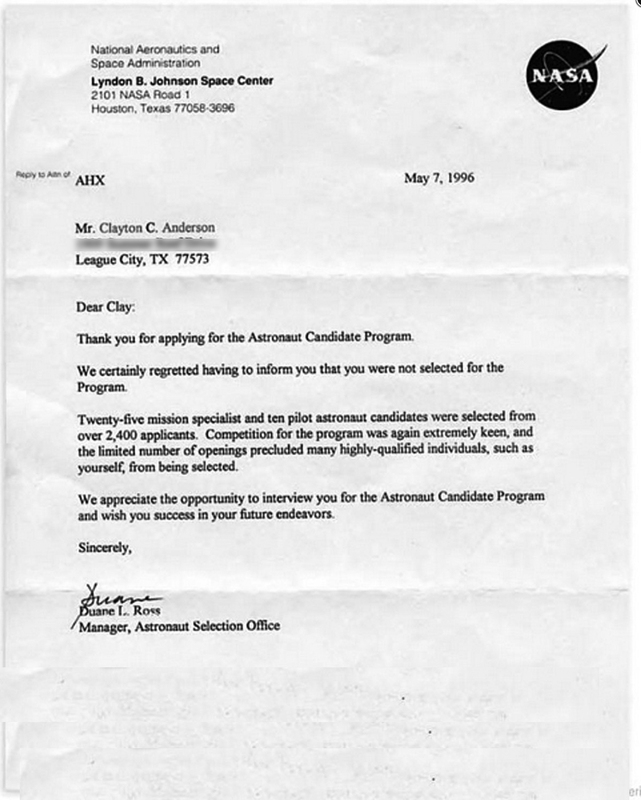 Many probably did it so that they could get the rejection letter (larger image) to frame and show people that they tried. Many more, however, really, really, REALLY would like to fly in space. NASA did a good job via social media in pumping people to apply. But what is NASA going to do with this interest once reality sets in and 99.9% of the applicants get the rejection letter? Think about it - a marketing plan (oh wait, NASA is not supposed to that) - an education and public outreach (EPO) effort - has just identified 18,300 people who want to fly in space. I suspect the real number out there has multiple zeros after it. That said, NASA now knows who these 18,300 people are. They applied for a job, so all manner of government privacy regulations kick in. As such, NASA probably can't do a damn thing with this priceless information. Or maybe they can. NASA has done a lot of #NASASocial stuff. It is useful, but I think it has reached the limit of its effectiveness. 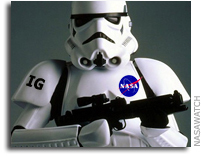 NASA now needs to enlist a more robust, personal, one-on-one approach to its EPO efforts. NASA has/had a "solar system ambassadors" program as well as other EPO programs that enlisted interested educators and citizens. Guess what: 18,300 potential participants just popped up on NASA's radar screen. Again: 18,300 citizens just said that they want to fly on a NASA rocket. What is NASA going to do with this influx of self-identified and overtly-avowed space explorers? By Keith Cowing on February 5, 2016 6:25 PM. "Astronaut Edgar D. Mitchell died yesterday. Coincidentally, on 5 Feb. 1971, Mitchell, lunar module pilot for the Apollo 14 lunar landing mission, stands by the deployed U.S. flag on the lunar surface during the early moments of the first extravehicular activity of the mission." "Astronaut Edgar D. Mitchell, who was part of the Apollo 14 space crew that flew to the moon in 1971, died late Thursday in West Palm Beach, according to his family. Mitchell, 85, lived in suburban Lake Worth and died at a local hospice at about 10 p.m. Thursday, his daughter, former West Palm Beach City Commissioner Kimberly Mitchell told The Palm Beach Post." "He believed in exploration, having been drawn to NASA by President Kennedy's call to send humans to the moon. He is one of the pioneers in space exploration on whose shoulders we now stand." By Keith Cowing on February 1, 2016 12:44 PM. Keith's note: Brian Duffy and Scott Parazynski have been inducted into the Astronaut Hall of Fame. Scott did not know it at the time, but this is one of the tests, administered by me at Everest Base Camp in 2009, that helped determine if Scott was suitable material for the Astronaut Hall of Fame. He passed. By Keith Cowing on January 13, 2016 8:01 PM. By Keith Cowing on June 18, 2015 12:30 PM. "On June 18, 1983, Sally Ride became the first American woman to fly in space when the space shuttle Challenger launched on mission STS-7 from Pad 39A at NASA's Kennedy Space Center in Florida. The STS-7 crew consisted of astronauts Robert Crippen, commander, the first two-time space shuttle astronaut; Frederick H. Hauck, pilot; and three mission specialists -- Ride, John M. Fabian and Norman E. Thagard." By Keith Cowing on May 26, 2015 11:35 AM. "Sally Ride, this trailblazing astronaut turned physics professor, for so long keenly studied, and then for so long taught, the laws of bodies in motion, as one thread in her lifelong work in science and technology. So it's especially fitting that Google unveils a "Behind the Doodle" animation, as we get to see Ride's own inspiring life-trajectory in motion. Sally Ride, in so many ways, still seems right out of central casting, as if the tale of an American space star was dreamt up in Los Angeles where, in fact, she was born." By Keith Cowing on September 25, 2014 9:50 PM. "The OIG also determined that 13 movie attendees--six government and seven contract employees--had failed to charge their attendance at the movie as non-work hours. The timecards for those 13 employees were later amended or annotated, after the OIG initiated investigation 13-0948-I, to reflect the use of annual leave/personal time or a reference to offsetting hours worked to cover participation in the team event. The OIG concluded investigation 13-0948-I on March 17, 2014, with a determination that, absent these adjustments, the government paid $3,487.31 in taxpayer-funded wages for employees to attend the theater showing of "Star Trek Into Darkness." Keith's note: I can understand the whole time card thing. But ... NOAA GOES-R (a satellite) employees, who work at an agency (run by a former astronaut) that operates a large number of satellites (in outer space) - attend a SciFi movie (about space) and someone thinks that this contributed to GOES-R delays? Its possible, I suppose - if the individuals involved were actually in launch-critical positions. But DC Metro and traffic delays probably had a much more prominent effect. Meanwhile, everyone wanted NASA to do more tie-in promotions with the very same movie. I hope someone files a FOIA request seeking out the time charges (expense) for the NOAA IG to do this report. Audit of Geostationary Operational Environmental Satellite-R Series: Comprehensive Mitigation Approaches, Strong Systems Engineering, and Cost Controls Are Needed to Reduce Risks of Coverage Gaps, 25 April 2013. Will American Astronauts Train in Occupied Crimea? By Keith Cowing on September 10, 2014 8:32 AM. "Here's the kicker: Shifting the survival training to Russian-occupied Crimea will require foreign cosmonauts to accept travel there without Ukrainian visas, an explicit acquiescence to the new diplomatic status of the province. Refusal to attend survival training is equivalent to failing the training, which by existing training regulations is an automatic disqualification for flight certification. No Crimea trip, no space trip. Lonchakov hinted that Crimea might be used for more than sea survival training. "We are also planning, if it works out, to hold sea and mountain survival training," he told the Itar-Tass news agency. He has also said a post-flight rehabilitation center for cosmonauts could be reopened near Yevpatoria, a Crimean coastal resort." By Keith Cowing on March 14, 2014 12:01 PM. "LIVE FROM SPACE" Program on Space Station Originating from JSC -- Friday, March 14, 8 p.m. EDT, National Geographic Channel. "LIVE FROM SPACE," a live, two-hour special program originating from Johnson Space Center (JSC) and including appearances by the International Space Station (ISS) crew, is scheduled to air world-wide on the National Geographic Channel on Friday, March 14 at 8 p.m. Eastern Time." Keith's note: Unless you pay extra for National Geogrpahic Channel, you were unable to watch this NASA-assisted special tonight. 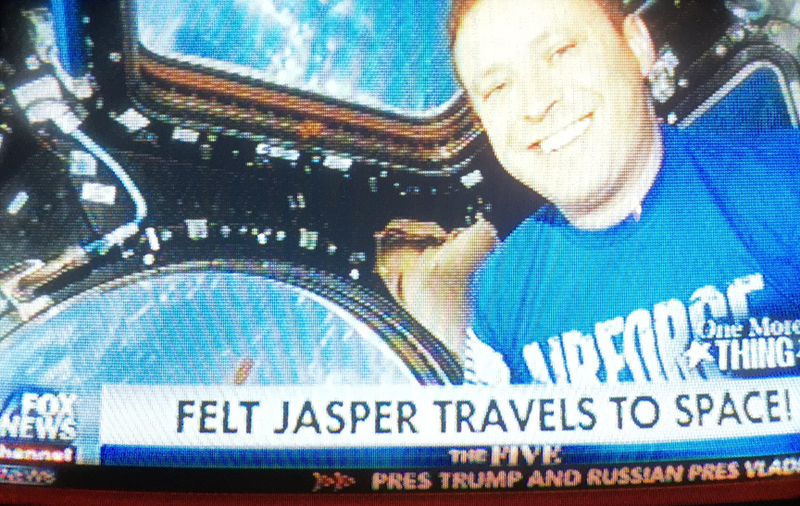 NASA TV was not allowed to air it. Also, if you went to the official "Live From Space" website, it crashed a few minutes after the show began - and with it the live video feeds (without any audio). To be certain, crashing a webserver like this speaks to having a lot of interested people trying to get in. That said, its baffling that National Geographic did not plan ahead for this surge in traffic - especially when they did so much international marketing. Meanwhile, it was rather humorous to listen to the open mic in the control room at JSC in the hour leading up to the webcast as the shows's producers struggled to figure a number of things out - and talk about the post-show party. By Keith Cowing on March 5, 2014 8:57 AM. "Pogue, together with astronauts Gerald Carr and Edward Gibson, spent 84 consecutive days in space from 1973 to 1974 aboard Skylab, the first American space station. 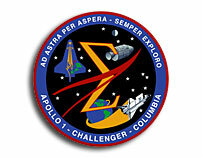 Their 12 weeks in orbit was a record at the time, topping the previous Skylab mission's eight weeks. They orbited the earth 1,214 times while aboard the station, traveling 35.5 million miles." By Keith Cowing on January 31, 2014 6:20 PM. Keith's note: I finally had a chance to talk with Kevin Heath from Waypoint2space about their astronaut training services in response to earlier postings on NASAWatch. Heath confirmed that they do not have a signed Space Act Agreement with NASA in place and that it is currently stuck in NASA Legal limbo (that certainly can happen). Waypoint2space says that they do have a signed agreement with Jacobs Engineering but that only deals with their interactions with Jacobs - not NASA. Heath also confirmed that NASA JSC Mission Operations Directorate (MOD) has declined to work with them but that the JSC Engineering Directorate was interested. As stated earlier, I find it somewhat perplexing to see how NASA can support a cmpany offering astronaut training when the very part of NASA (MOD) that does such things declines to participate. Continue reading Waypoint2space Clarifies A Few Things About Astronaut Training at NASA JSC. By Keith Cowing on January 30, 2014 1:37 PM. Keith's note: The other day I wrote about the announcement made by Waypoint2space about the astronaut training services they are currently selling - services that claim use of NASA JSC facilities. I did get a few responses from the company (with legal disclosure caveats attached) before they stopped responding. I have asked NASA PAO to respond but they have yet to do so. Below are some observations regarding what is still posted on the Waypoint2space website. I'd be more than happy to post any responses from Waypoint2space - so long as they do not attach legal restrictions on the dissemination of those responses. Continue reading Waypoint2space: Closer Look at Website Claims About Operations at NASA JSC . Can You Train Like An Astronaut at JSC for $45,000? Not Without NASA's Permission. By Keith Cowing on January 28, 2014 7:11 PM. Keith's note: According to Waypoint2space.com "To go into space, step out of the vehicle, and float above the earth while reaching for the stars - but wondered if you have what it takes? For the first time in history, you can train like an astronaut using the most advanced facilities and equipment in the world. Operating from NASA's Johnson Space Center, we offer the definitive training experience with our fully comprehensive and immersive space training programs. These one-of-a-kind programs prepare you for spaceflight while you experience first hand what every astronaut has during their preparation for space. Additionally, SFP's are trained in accordance to our FAA Safety Approval ensuring a consistent level of spaceflight competency." Sounds cool. But a closer look raises some important questions. Continue reading Can You Train Like An Astronaut at JSC for $45,000? Not Without NASA's Permission..
By Keith Cowing on January 11, 2014 1:32 PM. 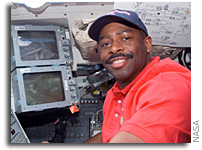 "I am sorry to inform the NASA family that my good friend and our Associate Administrator for Education, Leland Melvin, has decided to retire next month after more than 24 years of NASA service. Since assuming the role of AA in 2010, Leland has streamlined NASA's education organization and portfolio to deliver science, technology, engineering and mathematics (STEM) content more effectively to educators and students. 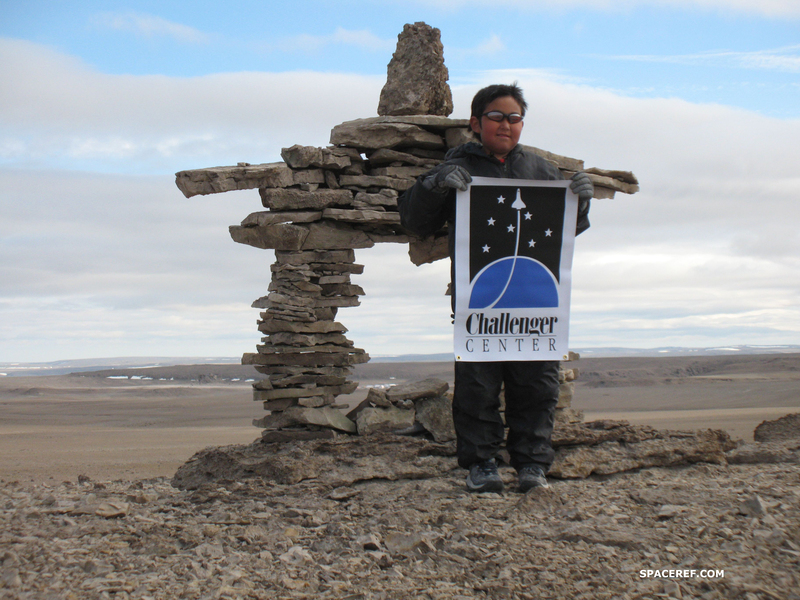 Using NASA's unique missions, programs and other agency assets, he has helped cultivate the next generation of explorers - one that is truly inclusive and properly reflects the diverse make up and talent of this nation's youth and our agency's future. - Charlie B"
By Keith Cowing on January 6, 2014 11:14 AM. 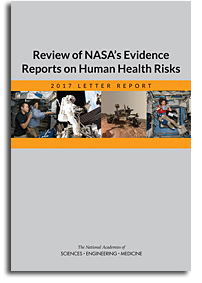 "Review of NASA's Evidence Reports on Human Health Risks: 2013 Letter Report is the first in a series of five reports from the Institute of Medicine that will independently review more than 30 evidence reports that the National Aeronautics and Space Administration has compiled on human health risks for long-duration and exploration space flights. This report builds on the 2008 IOM report Review of NASA's Human Research Program Evidence Books: A Letter Report, which provided an initial and brief review of the evidence reports." By Keith Cowing on November 20, 2013 11:58 AM. By Marc Boucher on August 26, 2013 10:57 AM. "Today, Gregory H. Johnson, Colonel (Ret), was named executive director for the Center for the Advancement of Science in Space (CASIS) - the nonprofit entity selected by NASA to manage the utilization of the International Space Station (ISS) U.S. National Laboratory. 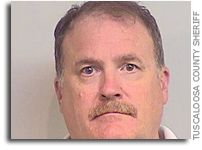 Col. Johnson will assume his role effective September 1, 2013." By Keith Cowing on April 13, 2013 1:09 PM. "Secretary of the Navy Ray Mabus has announced the names of seven ships. Included is an ocean-class auxiliary general oceanographic research (AGOR) ship, the R/V Sally Ride. Mabus named the future R/V Sally Ride (AGOR 28), which will be a Neil Armstrong-class AGOR ship, to honor the memory of Sally Ride, a professor, scientist and an innovator at Scripps Institution of Oceanography, University of California San Diego. Ride was the first woman and also the youngest person in space. She later served as director of NASA's Office of Exploration. Traditionally, AGORs are named for nationally recognized leaders in exploration and science. The R/V Sally Ride is the first academic research ship to be named in honor of a woman." Keith's note: Obviously the author of this release did not do a full fact check. Sally Ride was not the first woman in space, nor was she the youngest person in space. That said, as the release notes, "the R/V Sally Ride is the first academic research ship to be named in honor of a woman." By Keith Cowing on January 9, 2013 8:04 PM. "A lack of federal support and local funding has forced the University of North Carolina Wilmington to stop operations at Aquarius, the world's only permanent undersea laboratory - a loss that will take away a key component of the school's marine science program, a school official said. "Aquarius is unique. It's the only asset like this in the world," Aquarius director Tom Potts said of the facility in the Florida Keys. "UNCW does lose a little of what makes it unique by losing this program." But the program is not completely lost. It will soon be operated by Miami-based Florida International University." By Keith Cowing on January 3, 2013 10:22 PM. Keith's note: I can't seem to find any mention of this NASA-funded research at NASA.gov. Given the animal rights controversy that surrounded these experiments, and the results of this specific research project (with clear relevance to missions to asteroids, Mars, etc. ), you'd think that NASA would want taxpayers, stakeholders, and the media, to know about these findings. Guess not. NASA produces a regular listing of publications (NASA Spaceline Current Awareness) on the space life science research it funds. However, NASA is unable to find a way to publish it online. As a result no one really gets to see what the agency does - unless they visit SpaceRef, that is. We have a complete archive online stretching back to 1999. Keith's update: This PLoS research paper made the rounds of various news outlets - all of them asking the question: Does space travel cause/aggravate Alzheimer's? Given than many of us have had our families directly affected by this disease, stories that mention it tend to get our attention. NASA's public response? Nothing. Yet, its not as if they are not concerned about radiation health (they funded this research after all). This was a perfect opportunity for the agency to show how its research not only serves space exploration needs but also has a relevance to issues facing the public. By coincidence, this solicitation "Development of the Expandable Coil Concept" was issued today by NASA JSC and shows one way that this issue is being addressed in terms of spacecraft design. Yet another golden opportunity for NASA to link up its research and inform the public. Again, nothing but silence. If NASA does care enough to tell people what they are doing, then how can the agency expect people to care enough to be interested? "NASA/JSC has a requirement to continue the study of active radiation shielding for crew protection, a key challenge with human exploration of space." By Keith Cowing on December 17, 2012 6:31 PM. "NASA has named the site where twin agency spacecraft impacted the moon Monday in honor of the late astronaut, Sally K. Ride, who was America's first woman in space and a member of the probes' mission team. Last Friday, Ebb and Flow, the two spacecraft comprising NASA's Gravity Recovery and Interior Laboratory (GRAIL) mission, were commanded to descend into a lower orbit that would result in an impact Monday on a mountain near the moon's north pole." By Keith Cowing on October 30, 2012 2:43 PM. "I think it's going to be something special, and I will get unforgettable memories," Novitskiy said in a NASA briefing before the mission. 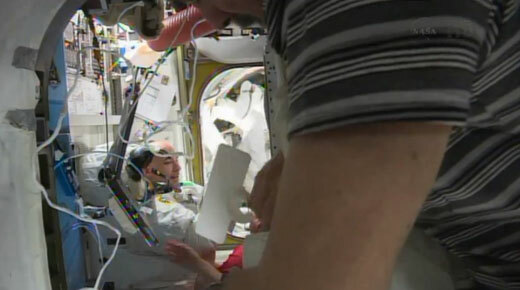 Novitskiy picked a small toy hippo, a gift from his teenage daughter Yana, to use an indicator of when the Soyuz reached the weightless environment of space." Keith's note: Contrary to what some space bloggers and writers have suggested, this is not a "hippo". Rather, it is a plushie version of Suni Williams' dog "Gorbie" Indeed, she pulled the plushie version of Gorbie out for me during the on-orbit interview I did with her in September - more than a month before this recent Soyuz was even launched. THIS is what a hippo looks like in a Soyuz. By Keith Cowing on August 12, 2012 12:04 PM. Keith's note: I carried this cool device up to Everest Base Camp and then Scott carried it up the mountain. Its not unusual for people to trek into Everest with the latest high tech gear on display but every time I pulled this thing out people stopped to watch me go through my procedure. I took this promo photo of Scott using the Jaz unit while we were standing next to our tents at Everest Base Camp. An instant later we heard a loud noise coming from the icefall. I quickly switched my camera from still to video and shot this video since I was literally pointed at the exact right spot already. This was one of the largest avalanches in recent seasons. Had I not been taking the PR shot of Scott and the Jaz unit I'd have missed most of this avalanche. (More details in comments below). Now I see that our good friends at Ocean Optics have hardware on Mars. 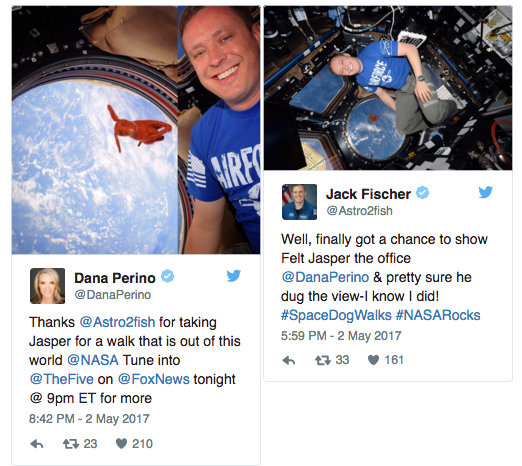 How cool - especially since I had 4 little Moon rocks in my chest pocket when I shot these pics and video - and our Moon rocks are now on the ISS. By Keith Cowing on May 12, 2012 10:36 AM. "Dawn is breaking on the morning of February 1, 2003 above West Texas. Suddenly the peace of the early morning is shattered by two loud bangs. The Space Shuttle Columbia is announcing its return home ... Gone is its precious cargo of seven astronauts from around the world. Among them, Col. Ilan Ramon, Israel's first Astronaut. Also gone, an artifact that embodied the glory of the Shuttle's mission and the despair of its demise: a tiny Torah scroll - smuggled into a Nazi concentration camp during the Holocaust; safeguarded by Joachim Joseph, a Holocaust survivor; and carried into space by Col. Ilan Ramon, the first Israeli astronaut." 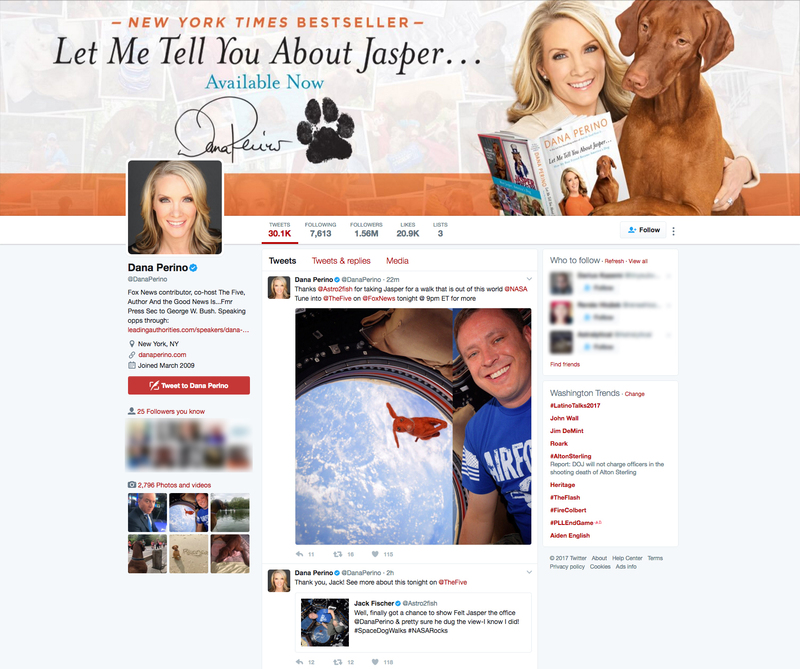 This page is an archive of recent entries in the Astronauts category. Astrobiology is the previous category. Astronomy is the next category.